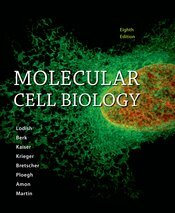 With its acclaimed author team, cutting-edge content, emphasis on medical relevance, and coverage based on key experiments, Molecular Cell Biology has justly earned an impeccable reputation as an exciting and authoritative text. Avoiding an encyclopedic approach, the book grounds its coverage in the experiments that define our understanding of cell biology, engaging students with the exciting breakthroughs that define the field’s history and point to its future. The authors, all world-class researchers and teachers, incorporate medically relevant examples where appropriate to help illustrate the connections between cell biology and health and human disease.